Example images generated by students who took this class in Fall 2014. 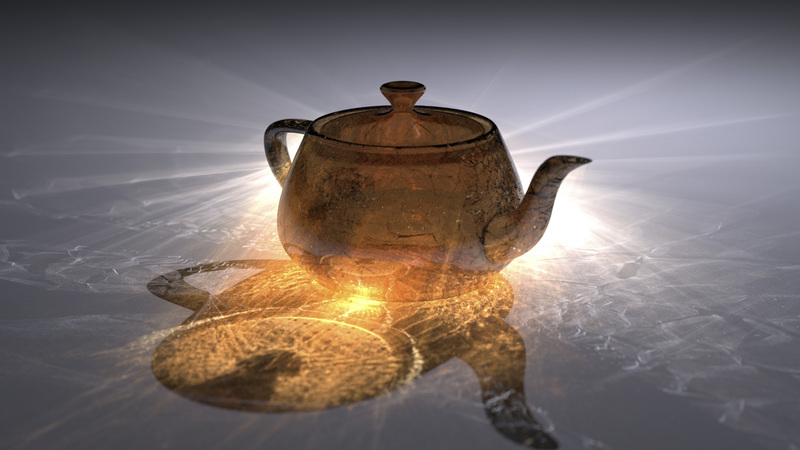 This course covers fundamental concepts of rendering and ray tracing. Each student implements a ray tracer of his/her own. All the related theory and implementation details are discussed in the lectures. Therefore, the students do not need to have prior knowledge about computer graphics and prerequisites do not apply (this course can be taken without taking 5610 or 6610). 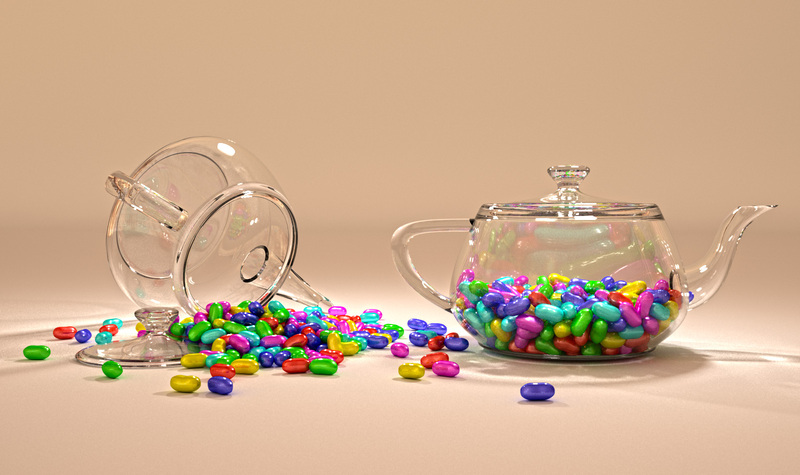 We begin with the basics of rendering and we build an extremely simple ray tracer. With each project we add a new feature to our ray tracers. To make sure that each project can be completed in a short amount of time, additional source code is provided when needed. We pay attention to implementation details during the lectures, so that the project codes not only work, but also have the right structure to easily add the new features of the upcoming projects. 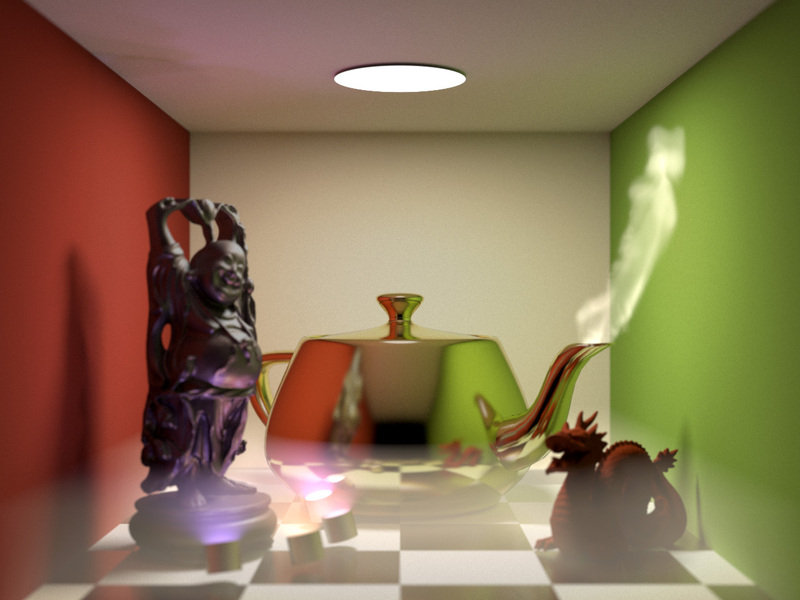 At the end of the semester, we get to have highly advanced ray tracers that are capable of generating realistic images using global illumination techniques. The course ends with the Teapot Rendering Competition. Students can use the Canvas Discussion Board. • Obtain the necessary background knowledge for following the state-of-the-art advancements in rendering related research in computer graphcis. Students must prepare a project web page for each project, which should include at least one image rendered using his/her project code, clearly showing that the requirements of the project have been completed. This web page can have multiple images showing different aspects of the project. Each image must also have a render time next to it (as well as hardware information). The images on the project web pages must be in PNG format. Students can convert the output images of their ray tracers using any image conversion software. as well as all the files that are linked within prj1.html. Students should pick a directory before the Project 1 deadline. Students must also submit their source codes for each project, which should NOT be included on the project web pages. Students are highly encouraged to use C++ for their projects. Deadlines and Late Submissions: The deadline for each project is at noon (12:01pm) on the date indicated on the schedule (see above). Each student is permitted 3 late submissions without penalty, provided that the project is submitted before the next class time. Additional late submissions suffer a 20% penalty applied at each following class time. No late submission is accepted for the final project without prior permission from the instructor. All projects are individual projects. Group projects are not permitted. Therefore, each student must write his/her own code. Collaboration between students is encouraged, but code sharing is not permitted. External libraries and source code can be used only for additional functionalities that are not core parts of the projects, and they should be clearly indicated with comments within the source code. The University of Utah seeks to provide equal access to its programs, services, and activities for people with disabilities. If you need accommodations in the class, reasonable prior notice should be given to the Center for Disability Services, 162 Olpin Union Building, 801-581-5020 (V/TDD), http://disability.utah.edu/. CDS will work with you and the instructor to make arrangements for accommodations.